is that they are not always practical or expedient. For instance, some people have no time to go to a commercial gym and they may not be able to afford to buy standard exercise machines and weights to workout at home. 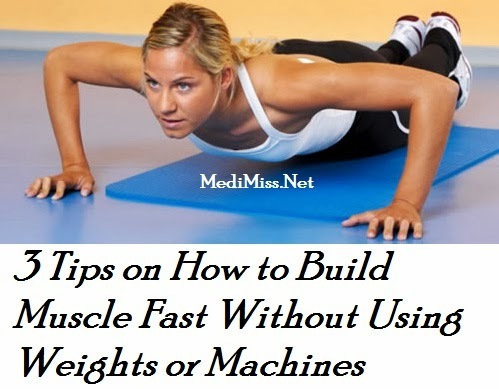 However, here are some effective yet little known tips which will help you build muscles just as fast even without resorting to using weights or exercise machines.